Building a clean, sustainable environment through large scale solar system implementation requires huge potential of human resource. Also, considering the large promotion towards renewable resources by the state and central government several training programs were conducted for the social benefits. These programs were targeted for academicians, students, entrepreneur, technicians, and researchers. 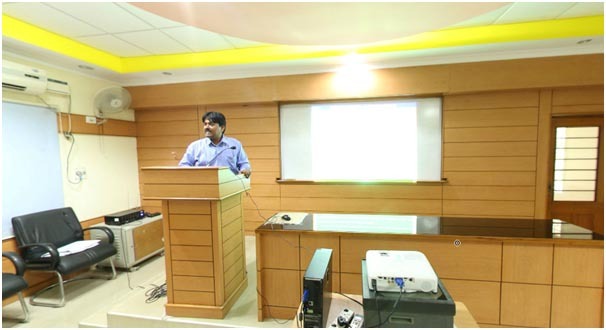 Organized a workshop on ‘Thermal Storage for Building Applications’ in association with “Pluss Polymers” during February 2009. 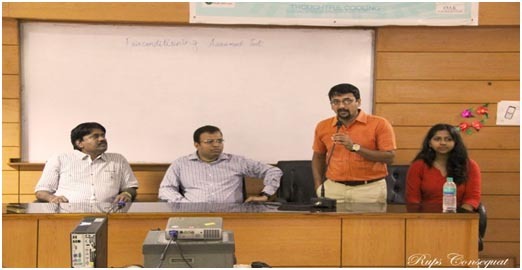 Organized Indo-German Workshop on ‘Recent Developments in Large Scale Solar Thermal Systems for Commercial Applications and Green Buildings’ in association with Gerindtec, Germany and Giz, Germany during June 2011. 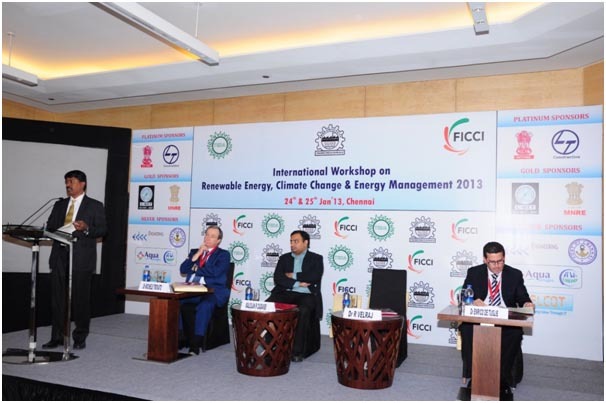 Supported “International Conference on Renewable Energy Climate Change and Energy Management” as organizing secretary at Hyaat Chennai in association with FICCI during Janauary 2013. 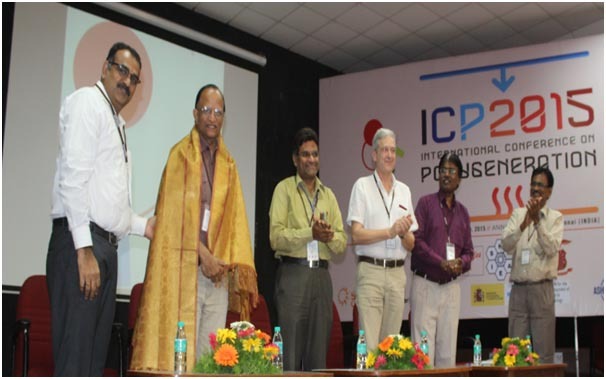 Organized Indo-US Workshop on ‘Advances in Solar Energy and Utilization – Fast Forward with Solar Mission’ at Vivekanda Auditorium, Anna University during April 2014. 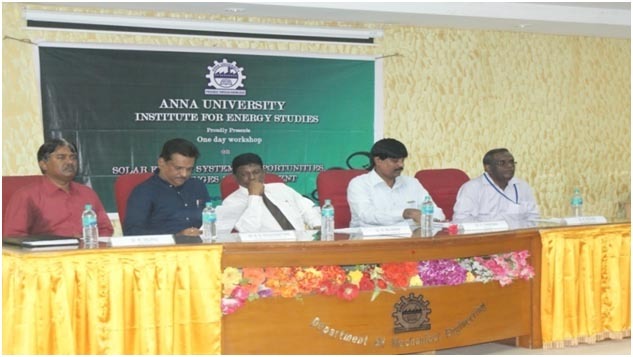 Organized a workshop on ‘Advances in Energy Storage for Energy Management and Broader use of Renewable Sources’ at TAG Auditorium, Anna University during March 2014. 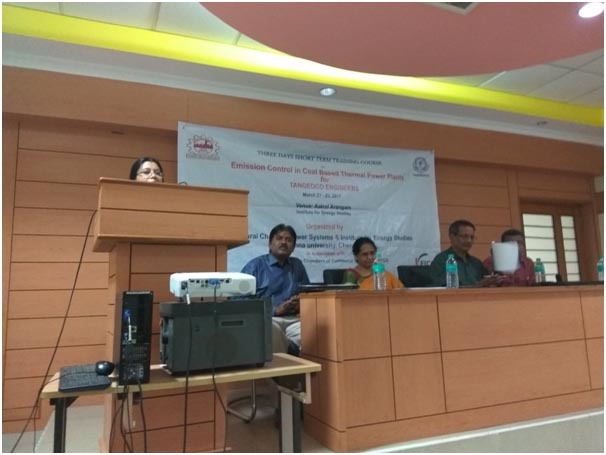 Organized a one day workshop on “Solar Energy Systems – Opportunities, Challenges & Deployment” on 31st October 2015 supported by UGC, New Delhi. 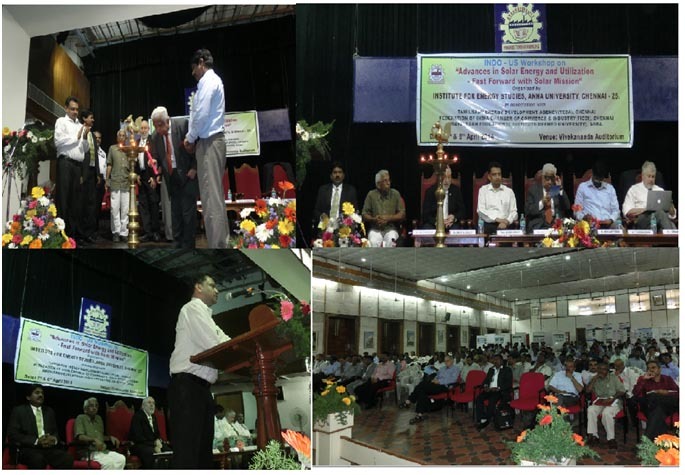 Organized one day seminar on “Opportunities and Challenges in Solar and Wind Energy Technologies & Energy Storage “on 4th March 2017. Organized 5 batches of UGC sponsored awareness program on “Opportunities in Solar Energy Utilization” on 21.09.2017 at Thanthai Periyar Government College of Technology, Vellore, , 26.09.2017 at GRT Engineering College, Tiruthani, 27.09.2017 Sri Sankara Senior Secondary school, Adayar, & 28.09.2017 at Institute of Engineers, Tamil Nadu State Centre and University College, Kanchipuram. MNRE has selected Institute for Energy Studies (IES) as partner in Solar Energy Training Network (SETNET to collaborate with National Institute of Solar Energy) for the man power development through the conduct of training program. Hence lot training programs will be initiated in the coming years. (URL:http://mnre.gov.in/file-manager/UserFiles/List-of-NISE-SETNET-Partners.pdf). One day workshop held in the year of 2009 on thermal energy storage for energy efficient buildings and solar applications. Interactions among the researchers, academicians & Students working in different part of the country would be promoted and enhanced through the conduct of seminars, workshops and conference. This would enable multi and inter disciplinary approach to address complex problems of Clean Energy technologies. CFD simulation is applied in various industries in order to achieve flawless product designing by combining computational tools and theory of fluid dynamics. Introduction of CFD simulation in the industrial system will be helpful to achieve energy efficiency in various systems. Some of the prime industries where CFD simulation is frequently used are Aerospace / Aeronautics, Automotive or Automobile, Building HVAC[(heating, ventilation, and air conditioning), Chemical / Petrochemicals, Energy / Power Generation, Manufacturing / Process Engineering, oil and gas industry, Product Design and Optimization, Oil and gas Industry, and Turbo Machinery, etc. Optimized baffle configuration for the spherical header in a nuclear reactor in IGCAR, kalpakkam and wake studies on wind turbine for CWET using the software tool ANSYS Fluent were carried out. The confidence gained through 4 Ph.D. research in the use of fluent software, 2 research projects completed for IGCAR & CWET leads to framing of syllabus for the conduct of two weeks short term course. This effected the conduct of 30 short term courses on CFD using ANSYS FLUENT software, which benefited nearly 1000 engineering students across the state, creating large scale awareness of CFD among the engineering community leading to large scale usage in the industries in TamilNadu. 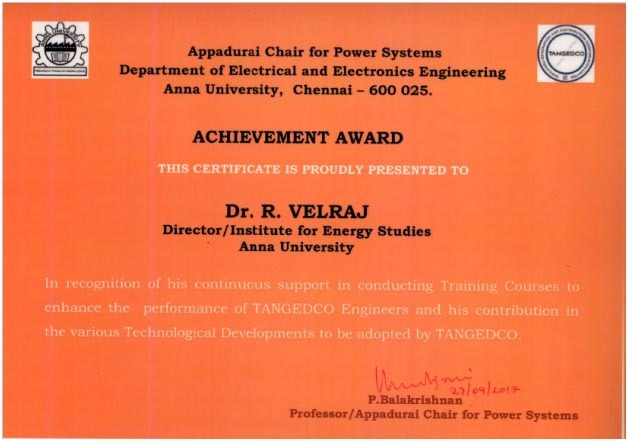 Organized three days workshop on “Recent Trends in Renewable Energy Technologies” for TANGEDCO Engineers for a period of three days in association with Appadurai Chair from 19 Jan 2016- 21 Jan 2016. 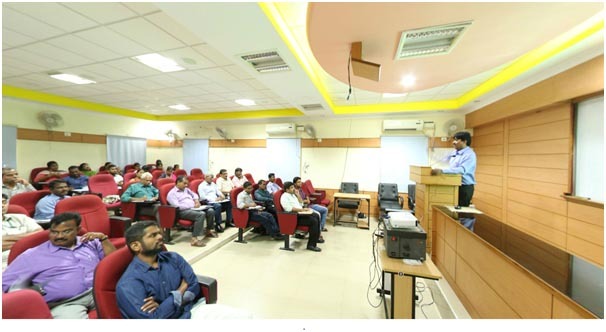 Organized three days short term training course of “Challenges in Solar Energy Utilization and adaptation of Thermal Power Plants to Fluctuating Renewable Energies” for a period of three days in association with Appadurai Chair for TANGEDCO Engineers from 25th Sep – 27th Sep 2017.